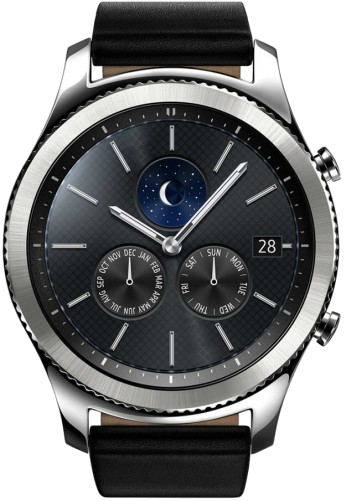 The launch of every new Samsung smartwatch also brings a new version of Tizen OS with new features and improvements. These changes later roll out to the previous generation devices as Value Pack updates. The company repeated this cycle once again when it launched the Galaxy Watch alongside the Note 9 in August last year. The Galaxy Watch launched with Tizen 4.0 onboard, which, while not being drastically different from the earlier software versions, brought some nifty upgrades, such as more indoor workouts, Theatre and Sleep modes, new Quick Panel, messaging improvements, recategorized Settings menu, and more. Last month, the company started rolling out these new features as a Value Pack update to its previous generation smartwatches such as the Gear S3 and the Gear Sport. However, when Samsung started pushing out the new update, it restricted the release to select markets as part of its phased rollout, leaving many Gear owners waiting for the new software. Thankfully, the company seems to have finally kickstarted the global rollout of the latest Value Pack update to the Gear S3 (both Classic and Frontier models). We are getting information about the new update hitting compatible devices in various parts of the world. So far, the expanded rollout is limited to the Gear S3, which means Gear Sport users may have to wait a little longer. I got the same update for my Gear Sport today in Egypt. It weighs 299.15 MB with the same changelog. I got this update for my US T-Mobile Gear S3 around 3 weeks ago. Just got the update in Colombia. Thanks for the info. I purchased it from souq. How to check the CSC of the watch? The software version is R600XXU1BSA1, which country does it belong to. I got same software version on my gear sports and I purchased it in India. Hi fille Freak, did you receive any update on your gear sports? Just got the update for my S3F that I purchased from the UAE. Hi.. I am from Mumbai, India. Just got update. Did you get it on s3 or sports model. Does Samsung extend these updates to older models as well? I have a Gear S2 Classic. do you know when it will come out on ATT . I live in UK but have ATT version. any suggestions or ideas would be appreciated. Staying in the UK shouldn’t matter for receiving the update. I am not aware of any timeline, but if you have an LTE variant, expect some delay in securing all the necessary certifications.